Product prices and availability are accurate as of 2019-04-19 20:00:42 UTC and are subject to change. Any price and availability information displayed on http://www.amazon.com/ at the time of purchase will apply to the purchase of this product. Mpow, a brand specializing in consumer electronics and accessories, spreads its operation to over 10 countries like America, Britain, France, Germany and more. We never stop our pursuit of creating products with simplicity and usability. We talk and listen to customers and value every constructive feedback to improve our products and services. Thank you for choosing Mpow. Your affirmations and encouragements fuel our engine for progress. Human ear is sensitive and delicate. 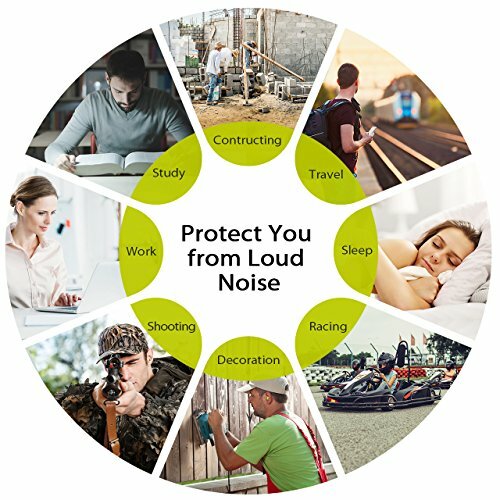 Loud noise, whether continuous or intermittent, can cause permanent damage to the ear and result in hearing impairment. Always staying in noisy environment also enhances people's anxiety and stress. 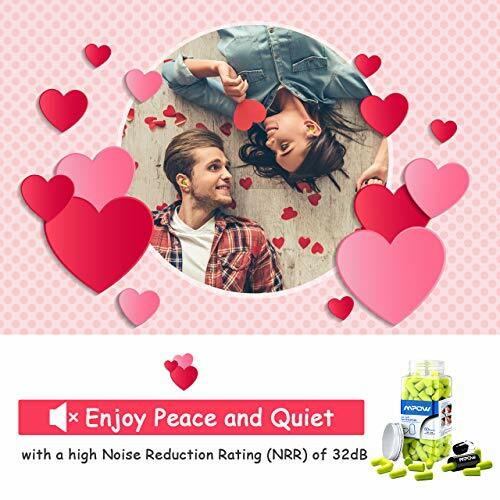 Soft and anti- noise earplug can be a necessary to reduce the effect of noise in daily life. 1. Please keep it away from fire, sunlight and dampness. 2. 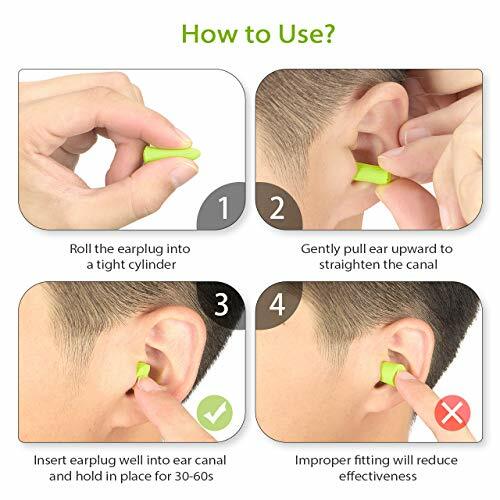 Please keep remaining unused earplugs in seal. 3. Please wash your hand before use. 4. Please replace with a new pair after every 5-day use. 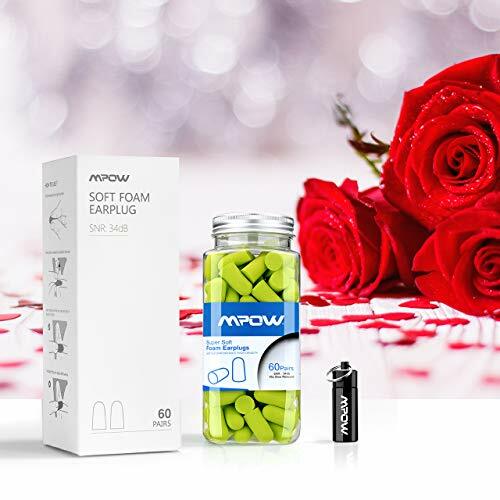 HEARING PROTECTOR AND NOISE BLOCKER: Made from premium PU material, Mpow foam ear plugs are with a high noise reduction rating (NRR) of 32dB. Effectively protect hearing in loud events or set up quiet environment for sleep. HYGIENIC AND PORTABLE: With a little pretty aluminum case for carry, it keeps the noise cancelling ear plugs clean and away from damages. GENTLE AND TENDER: 45s slow rebound is enough for you to set the earplug, gently fill the ear canal. 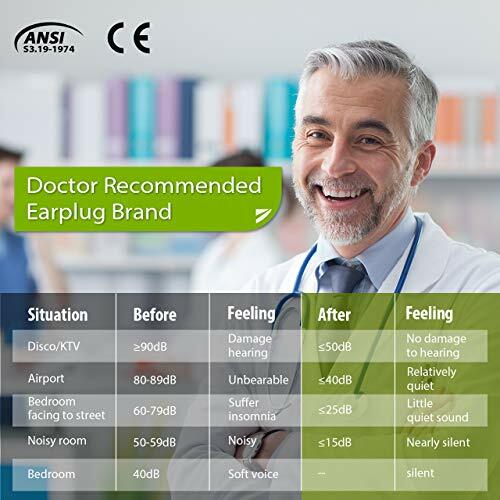 Ultra-soft and low-pressure, cause no pain to the ear canal. ECONOMICAL AND AFFORDABLE: 60 pairs of soft foam ear plugs for use. You are advised to replace with a new pair of ear plug after every 5-day use. 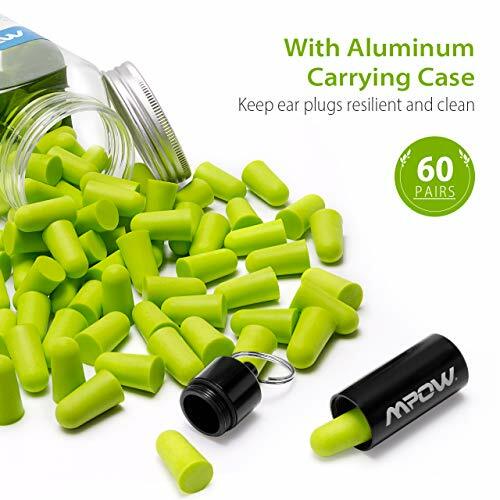 SERVE MULTIPLE PURPOSES: As an everyday item, Mpow foam earplug is suitable for hunting season, sleeping, snoring, studying, work, shooting, travel, concerts, relaxation, motorcycling, loud events.